Petersham is another one of Sydney’s increasingly popular Inner West locations. With more people in the area than ever before you owe it to yourself to get solid security for your property and possessions. If you are a supporter or player for the Petersham Rugby Club, better known as the Shammies you know that you need to keep up defence to avoid defeat. In the real world if you have poor security you run the risk of theft or property damage. As a long term or new resident to the area, get solid protection now for yourself and your family. 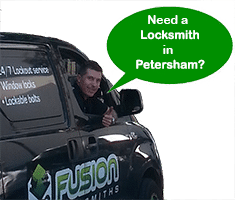 Stop intruders with the help of your Petersham locksmith – Fusion Locksmiths. We have worked in Petersham for many years. From changing locks, installing keyless systems and helping frantic residents when they have locked themselves out, we are here to help you. Fusion Locksmiths are all fully trained and licensed, with security licenses and police checks. This is because we hold your security and privacy in the highest regard. Your family is important to you so it’s essential you do what is right to keep them safe. We treat all our clients with the same level of care which has earned us countless of positive reviews. Not only are we experts in security we only use the highest quality and most efficient products in residential locks and security. We are trained in their installation and use in the home to bring you a product that is suited to your needs. As a family company, we know the importance of family and put your needs first when it comes to security. Call now to speak directly with a locksmith who can advise options to improve your security. Our fully equipped trucks have the tools and hardware to get the job done properly on our first visit.